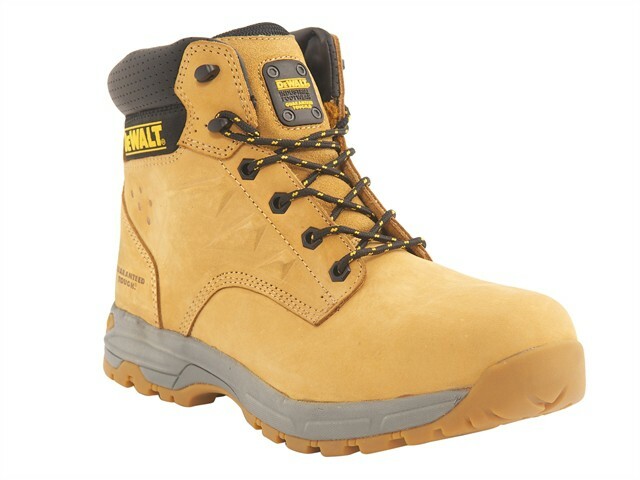 The DEWALT SBP Carbon Safety Hiker Boots are lightweight and durable with full grain, nubuck leather uppers and a padded tongue and collar for added comfort. A steel toecap and steel midsole, provide maximum user protection. They have a flexible EVA rubber sole and a comfort insole providing comfortable all-day wear.